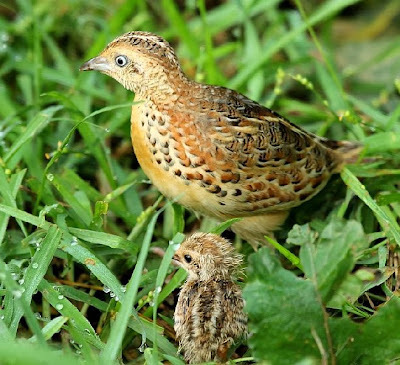 Small buttonquail Turnix sylvaticus adult and chick, photographed by Udayan Rao Pawar. The Turnicidae include the buttonquails, plump-bodied terrestrial birds found in tropical and subtropical regions of the Old World. Buttonquails differ from true quails, to which they are not closely related, in the absence of a hind toe.